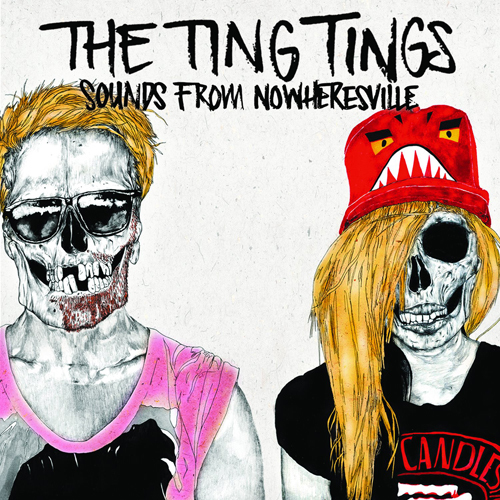 The Ting Tings ironically started something awful in the music industry with their 2008 release We Started Nothing. To put it simply – white girls thinking its okay to talk-rap instead of actually sing. Where vocalist and multi-instrumentalist, Katie White, can pull it off with her British accent and care-free rebellious attitude (yes, I know that’s an oxymoron), 99% of all other females cannot (*cough* Ke$ha). Being highly annoyed with what has happened to female artists since 2008, I was nervous with what White would possibly do this time. Halfway through their first track, I realized they didn’t settle in their newly created niche, but rather continued to do their own thing. “Silence” is one of my favorite album intro’s of 2012 (it’s tough to compete with fun.’s “Some Nights (Intro)”). Singing, White is very repetitive lyrically, but the places she goes and the building music sends you swirling into this album. By proving they can be do more than just make club music, there is proof right off the bat that they are following the patterns of music and getting ahead of the game – not sticking to what they know they’re good at. About half of the tracks do represent White with her notable talk-rap-punk vocals, doing so with a punk-rocker attitude and always finding places to add in singing vocals, even if it is just background. Jules de Martino (also vocals and multi-instrumentalist, usually seen playing guitar or drums during shows) is a great addition with vocals, providing support when necessary to create a more well-rounded sound. There are so many aspects of this album that are rooted in such notable genres, but The Ting Tings somehow corrupt your mind into thinking you haven’t heard such things before. 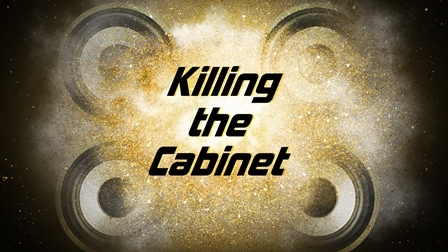 Some immediate connections I felt were a 21st century B52s (“Give It Back”), where the male and female vocals complement one another in catchy melodies with clapping and amped guitar and drums. There is also this continuous 90s club/hip-hop theme that is so elegantly placed in the foundation of the music you don’t realize what is happening (“Hit Me Down Sonny,” “Soul Killing”). You know you love the beat, your head is bobbing and can picture loving this song 15-20 years ago, only it’s ten times better. Better instrumentally (introduction of synthesizers, etc. ), musically (compositionally), and quality (production value). For example, “Hang it Up” is a British punk chic’s version of a Run DMC song from the late 80s. Not just the beat or even White’s rapping, but also the idea of accepting your life for what it is compared with what’s around you. Even the music video has The Ting Tings hanging out in a skate park with flat-brimmed baseball caps, graffiti covered cement and tube socks. Yet, they never seem like their trying too hard to represent this, instead it is like they are doing this for the first time with White rocking out on an electric red guitar and Martino’s casual nonchalance through the whole thing. As you’re whisked through Sounds From Nowheresville, you end up on track 5, “Guggenheim.” It starts out slow, and White is talking with a brief repetitive guitar riff and a drum roll here and there. You think, “This sounds like the verse from a 1960s girl group song about a rebellious boyfriend.” Until 1:01 that is. This song takes a gigantic, perfect, and completely unexpected leap into this emotional declaration (“Somehow I’m gonna get it right, gonna play my bass at The Guggenheim”). This amplified moment ends, going back to the speaking portion, until we hit the chorus again and it’s more exciting the second time. Now that you’re expecting it you’re entirely thrilled to hear it repeated. The lyrics describe a picturesque transition from being in a “perfect” relationship, it ending, and you realizing you need to do things to make you happy, and for White that’s rocking out at The Guggenheim. For those of you who are unsure, The Guggenheim is an architectural masterpiece that houses a museum, as well as a performance area (musical and theatrical) in New York. My one disappointment with Sounds From Nowheresville is that for some reason all the songs are grouped together by genre. The more upbeat hip/hop-style tracks are at the beginning, then there’s The B52s/90 club mixes, and the last three are all mellow. Though they seemed to be grouped this way, the songs do sound different from one another and it never seems like it is one song on top of another. However, I would have loved “Help” to be track 4, and “Hang It Up” to be 7, just to switch it up. For me, with all the mellow songs being at the end, I just tend to skip back to “Silence” (probably because I’m not a fan of “Day to Day”). Yet, by skipping I am missing out. The last two songs (“Help” and “In Your Life”) are pretty great. “In Your Life” has so much raw feeling with Schindler’s List screechy violins, and is something you would hear Laura Marling doing a cover of. Advice for myself and those of you feeling the same, shuffle the songs. The Ting Tings have created quite a follow-up to We Started Nothing by going above and beyond, being more critical with details and broadening their sound without taking away from who they are. I personally, would love to see them live after hearing Sounds From Nowheresville, it has such a great blend of upbeat musical genres that the live experience will probably be a once in a lifetime event (unless you’ve seen them before or plan on seeing them again, of course).